This entry was posted on Wednesday, September 3rd, 2014 at 8:16 pm and is filed under Uncategorized. You can follow any responses to this entry through the RSS 2.0 feed. You can leave a response, or trackback from your own site. 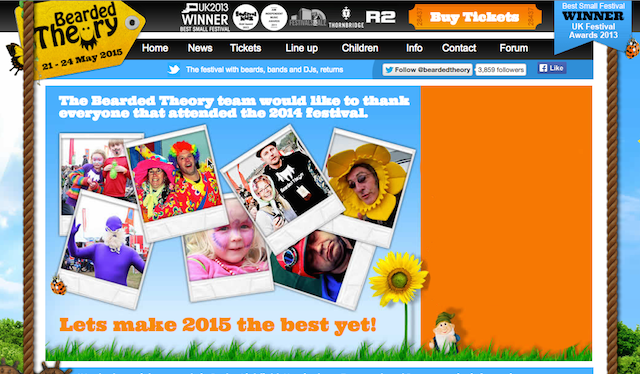 Bearded Theory have announced the line-up for their 2015 event. Pigbag will be playing the Woodland Stage on Friday 22nd May 2015. The festival is held at Catton Hall in Derbyshire. Earlybird tickets go on sale on Tuesday 9th September 2014 for £87 (adults).